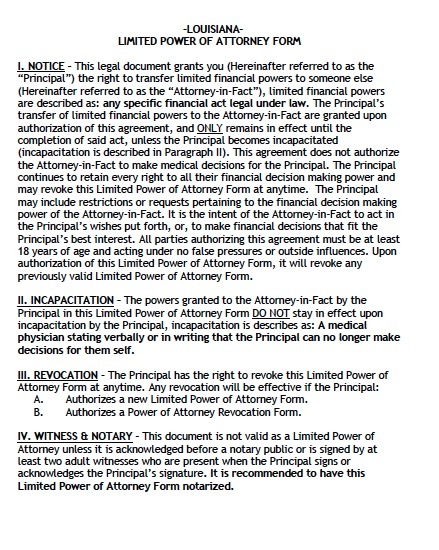 A limited power of attorney allows you to grant only one or a number of powers. This can come in handy if you will be away from your business for a set period, for instance for a surgery or vacation, and you know exactly which duties the agent will have to perform. In Louisiana, all powers of attorney are durable, meaning they continue indefinitely. Thus, you would need to expressly indicate you want the power to cease at a particular date.